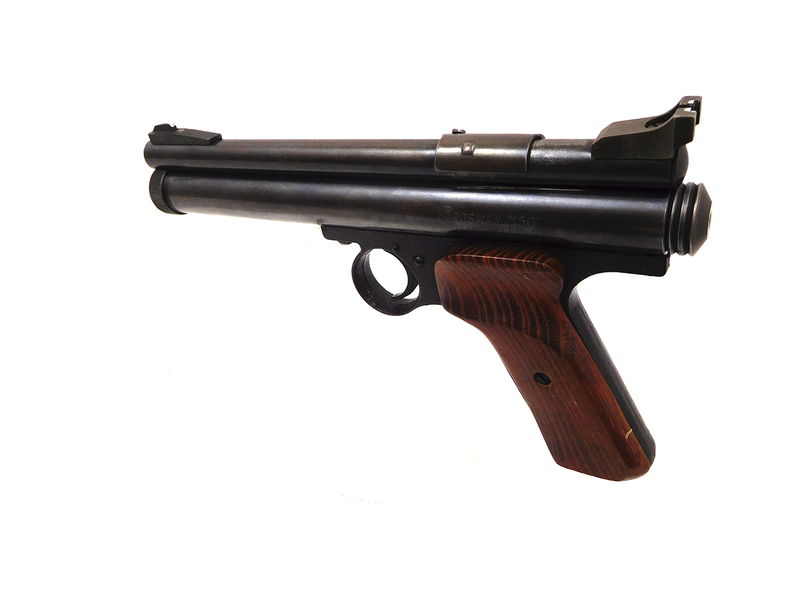 The Crosman model 150 pellet pistol is a .22 caliber single shot, CO2. 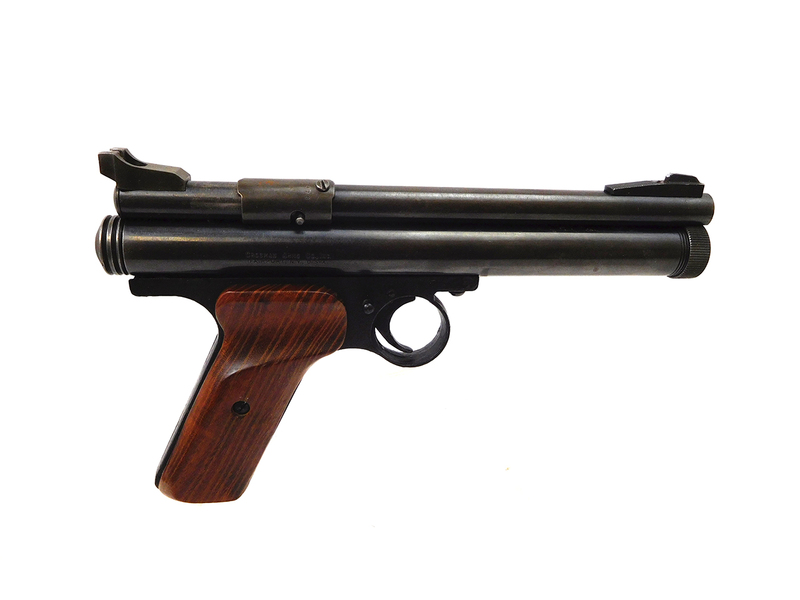 This has custom wood grips, and is a 2nd variant with the one piece breech and barrel. 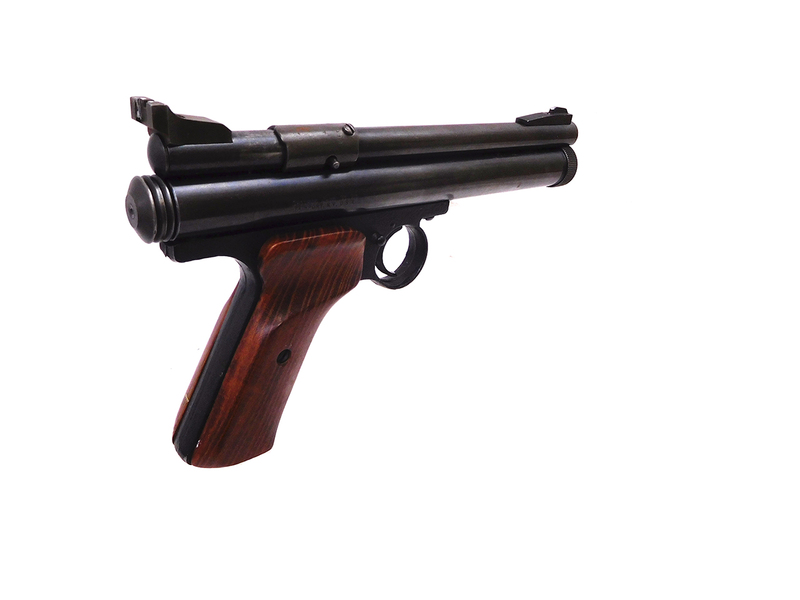 These pistols were manufactured between 1956, and 1967. 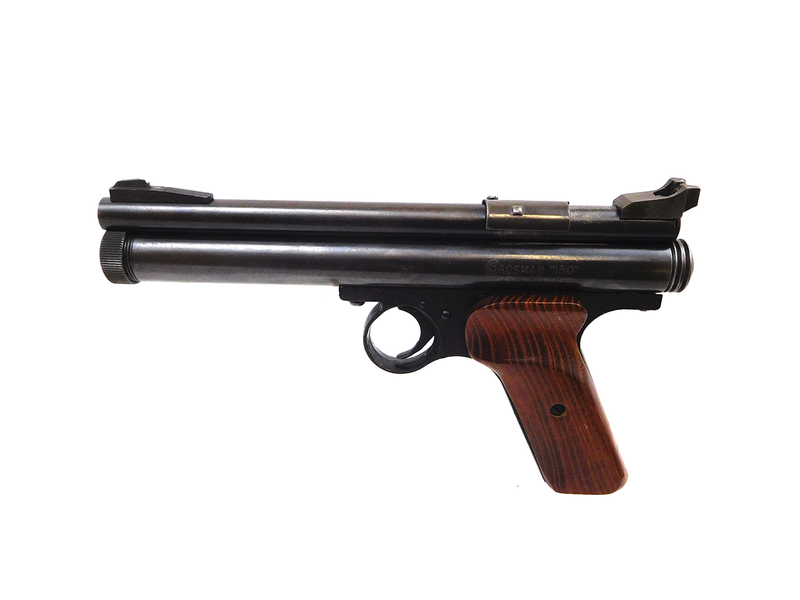 The metal on this gun retains about 90% of the finish. The grips are in good condition as well. It was cleaned, lubed, and resealed, in our shop. The velocity was tested at 358 fps using lead pellet. 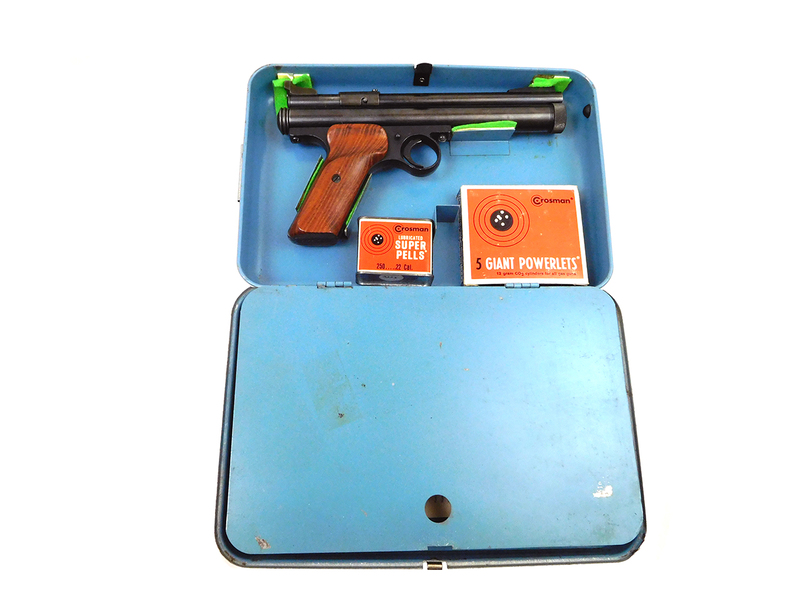 A vintage shooting kit for the Crosman 150 air pistol is also included! 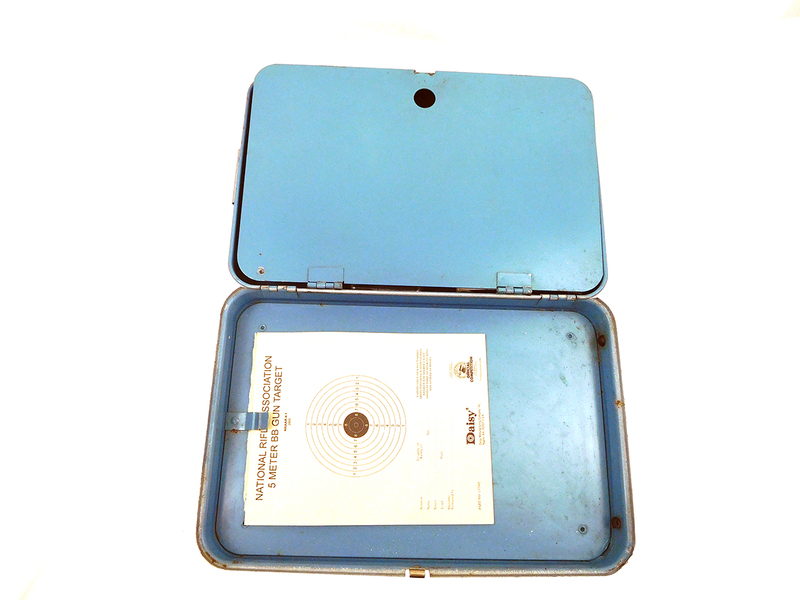 Originally it had paper targets that could be inserted onto a steel plate in front of the the back panel. The pellets would flatten as they hit the steel backed target. It has some general wear, and a few dings but is in pretty good condition overall. It still has about 90% of the original finish. 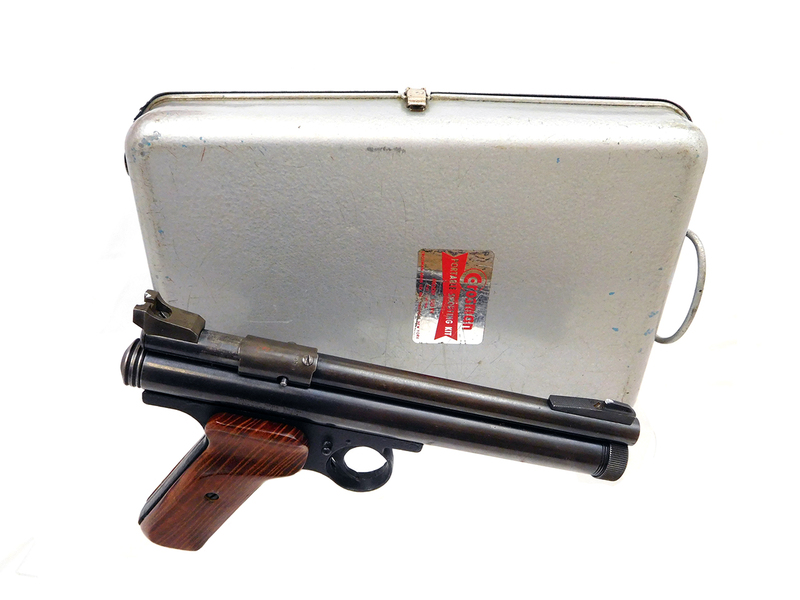 Also included is a vintage pellet tin, and a CO2 box.